My cousin still lives and works in Vienna, so we got together and had some good ideas of where we should go and what we should visit. Needless to say my Fuji camera was with me at all times. For this trip it was the trusty x100s, in what would turn out to be it’s last trip. Perhaps I’ll relate more of that story in another post. 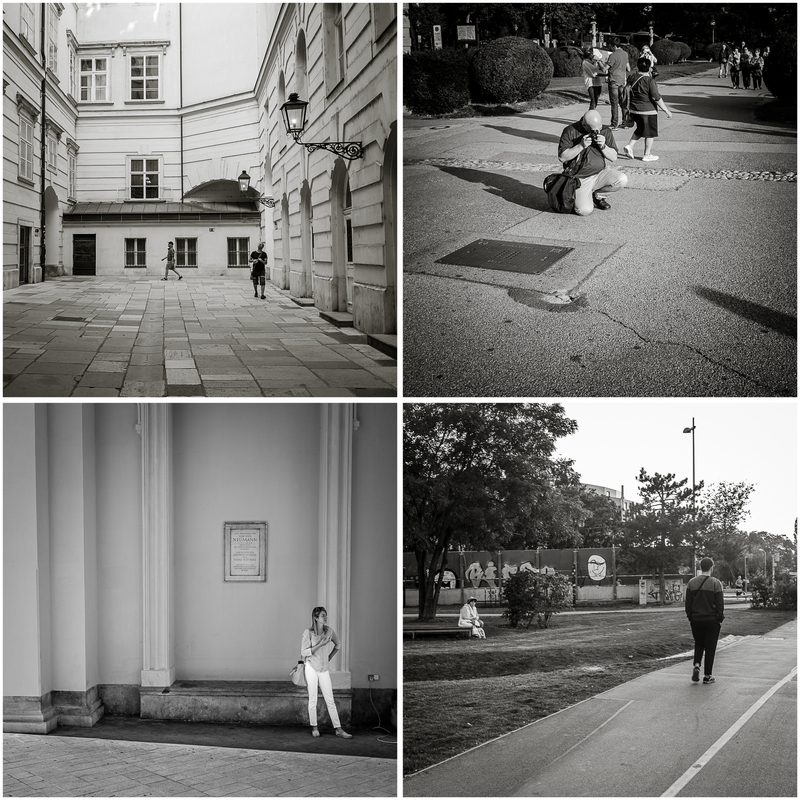 We visited musems, parks, markets and the fabulous Schönbrunn Palace. The weekend market in the Naschmarkt was vibrant, colourful and busy, and a feast of opportunity for any budding streetphotographer. 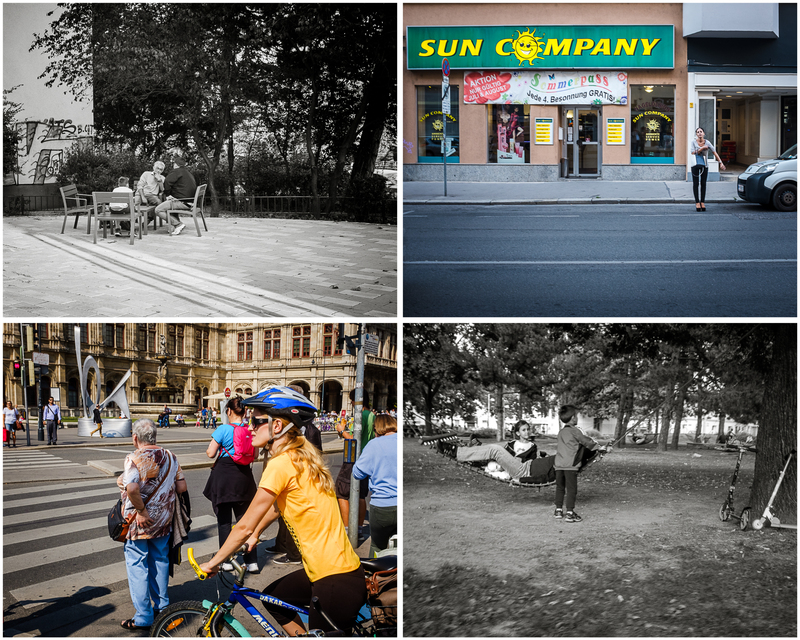 As usual, I took a variety of photographs in different styles – family, travel, street – and what I show (mostly) in this post will be the street photography images from a fabulous three days in Vienna. Hey Ant, how’s it going? Loved your pictures as ever, and of one of my favourite places in the world. My mum’s side of the family are Austrian and I spent many weeks in my younger years in and around the Vienna area (most live in Leopoldsdorf just south of Vienna). I still cook Weiner schnitzel and Austrian potato salad to this day and it’s very popular! Please say hi to your family from me. Hi Tom – great to hear from you! Yes, I remember you saying that you are part Austrian. Hope all is going well. Any thoughts of getting your blog going again? I have always wanted to visit Schönbrunn Palace. Lovely to spend some time with your daughter before she left for university! Yes, it is an interesting place. Ostentatious! And thank you, yes, it was great for my wife and I to spend that time with our daughter! Cheers, mate, hope you are doing well. I’m back in the UK mid-March but it’s a rush-job at Cambridge and Edinburgh, so not sure if there’s a chance we can meet up. PS. Didn’t take my camera, but managed to take a nice picture of Half Dome in Yosemite in November with my cell phone! First visit to Yosemite. What an incredible place. That’s a great image. How on earth are you going to Yosemite without your camera!!!!?? Hi Tom – yeah, we need you back on the blogs, cynical or not. I tool a long break after I came back from Hawaii, and thought that I would start it again once we moved to Cheshire. Maybe it was the clean break and the fresh air, but I’m enjoying it again, and do it almost like a diary. Would be great if you could find the time to pop over for a day when you’re over in March. Would be good to catch up. I’m sure that Gary would love to see you as well. Thanks, Ant. I’ll drop Gary a line to see if he’s anywhere near where I’ll be. Since the US government has just shut down, I’m not so sure about plans as it involves USNO staff. We’ll see. RCUH rules everything now, much more than it did in the old JAC days. Red tape has taken over common sense and still haven’t been reimbursed expenses for a meeting I attended in September. Nevertheless, UKIRT keeps going. In the meeting, I mentioned last September, the Keck director (Hilton) even said UKIRT had taken over from Keck as the most scientifically productive telescope on the planet. It looked as though blood was being drawn from him as he spoke. It was a moment I particularly enjoyed!